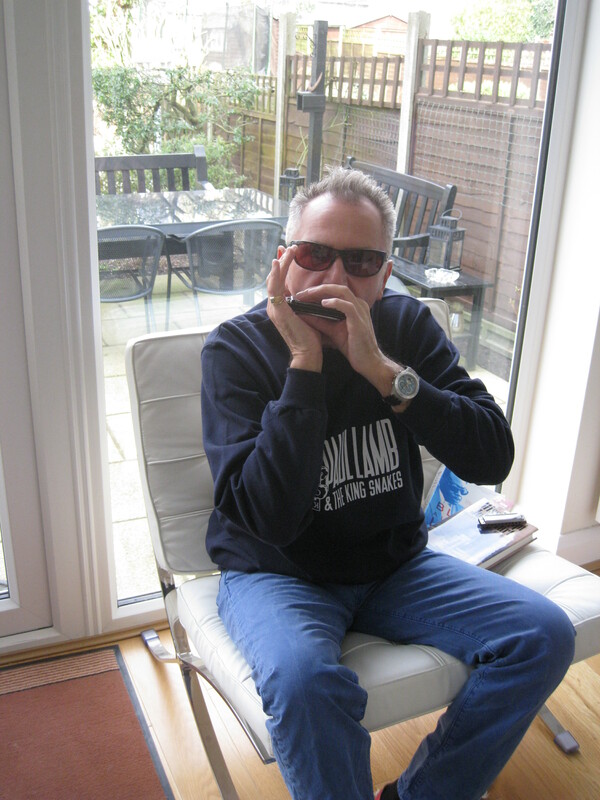 Paul Lamb of Paul Lamb and the Kingsnakes is one of the most popular, and award-winning, of British harmonica players. His career began in the hottest era, so far, of British Blues, the 1960’s. Paul’s career has taken Paul from Newcastle to London, where to this day he continues to craft songs that refer to his roots, including the title track of his latest album, Hole In The Wall. He has graced venues worldwide and appeared at London’s Royal Albert Hall for the first time in 2014. Paul’s son, Ryan, plays guitar in the Kingsnakes. If you could do a highlights video of your career, what would you put in it? Your son Ryan plays in your band. What is it like knowing that not only are you an active player on the British Blues scene, but you have personally contributed to the next generation of British Blues performers in this special way? You gave the exhibition some exhibits, harmonica’s and a sweatshirt. We are honoured that Paul is the first curator/spokesman for the British Blues Exhibition, specialising on his instrument of choice, the harmonica, and that he has donated items for display at exhibition events.